The first step on the path of the spirit and the interior spiritual life is the realization that one has a choice. They can continue on the path of the ego or move to the path of the spirit. A person cannot make a choice if the person doesn’t know the person has one. It is awareness of the choice that the interior spiritual life is born. The choice between the path of the ego and the path of the spirit can lead to investigating what the path of the spirit is all about and where this path might take one. The path of the ego, the world, does not encourage this search and if it does it fills this search with more ego. Most religion is about the ego. Most religion has rules, and authority figures, and traditions and rituals and these things contribute to comparisons and judgments and exclusionary decisions based on “one or the other.” Anything that divides and excludes is not of the spirit. It is of the ego. The first place that people turn in their search is to religion, either the religion of their family of origin or another religion. 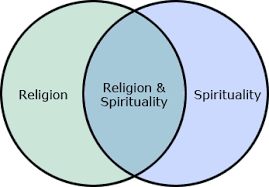 At first, religion may seem to offer some guideposts along the path of the spirit but then religion seems to become full of conflict, disagreement, judgment, and animosity which requires a “give to get” and a “one or another” mentality which the seeker intuitively senses is not conducive to a genuine spirituality because it does not create peace but dissension and distress. Some people are spiritual but not religious and some people are religious but not spiritual and rarely a person can be found who is both religious and spiritual but true spirituality is based on non-duality, oneness, while religion is about comparison, judgment, and exclusion. Jesus tells us to be aware of false prophets, of wolves dressed in sheep’s clothing. Religions are full of false prophets dressed in clerical trappings and credentials. As in Jesus’ day, the Pharisees abound. The seeker usually comes to the awareness that the path of the spirit rarely but occasionally takes one through religious territory. The simple litmus test is, "is it loving?" If it is not loving, it is not of the spirit. The spiritual seeker comes to realize that the health of their interior spiritual life may require them to move on. The question then becomes where else to turn? Thank you for your on-line course on the Interior Spiritual Life. I have never been told before that there is a choice even though I sensed it. There have not been words to describe it and now I feel affirmed that some of my thoughts and feelings have names. I definitely have been searching for the path of the spirit. That's what brought me to UU. Once I arrived though I haven't found an awful lot that has been of help. Things seem fuzzy wuzzy and Kumbaiya if you know what I mean. John: I know what you mean and I am getting into this course too. The concepts and vocabulary are foreign to me, and they make sense and explain things I was dimly aware of and didn't have a way of explaining to anyone. Thanks for your comment. I was raised Catholic and have explored many other religions and philosophical traditions. 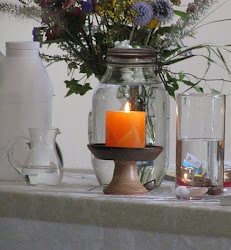 Having found Unitarian Universalism I have found that I can "take the best and leave the rest" in all these traditions. What I have found is that the mystical traditions in all religions have much more in common than the religions themselves. It says in A Course In Miracles that there are different theologies but a single experience. 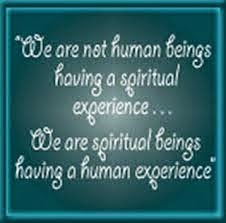 It is the experience of the divine that brings us altogether. Helen: Francis David, the Unitarian pioneer said that we don't have to think alike to love alike. It sounds like his idea pre-dated ACIM.